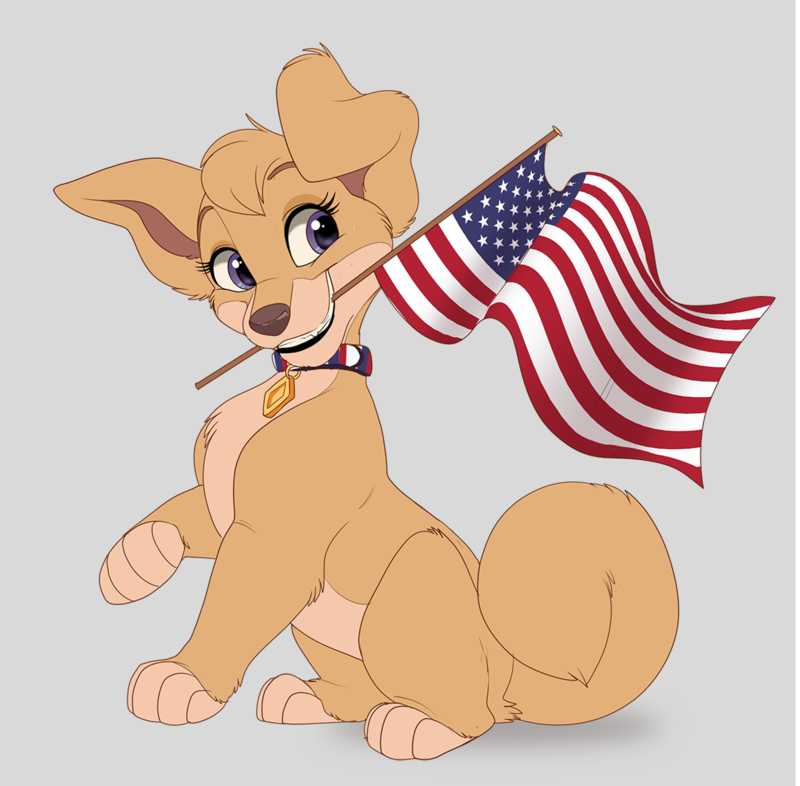 Well, the clock just struck midnight on my side of the country, so big Happy Birthday to the mighty U.S. of A, forwarded by the world's cutest Pomchi pup, Angel! I can't even elaborate how pleased I am with this, and the fact that the artist worked so fluidly with me to have it done in time for the big day! Art is by Kitchiki, on Furaffinity and DeviantArt! She's done lots of good Angel stuff prior so you may recognize this style!